Dessert is the part of the meal we all looked forward to most as children. Bring back some of that nostalgia by sending your favorite person a sweets hamper they can enjoy anytime. 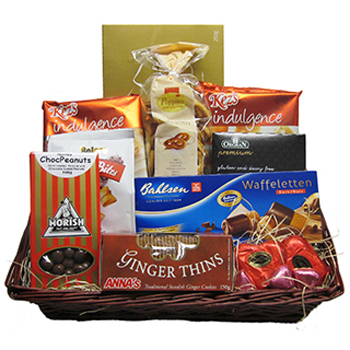 Your recipient will receive a variety of irresistible Biscuits, along with an assortment of gourmet Chocolates. Reward the office, celebrate their Birthday, or surprise your best friend with Sweet Cravings.